About Michael B. Clarke D.D. Michael B. Clarke D.D. 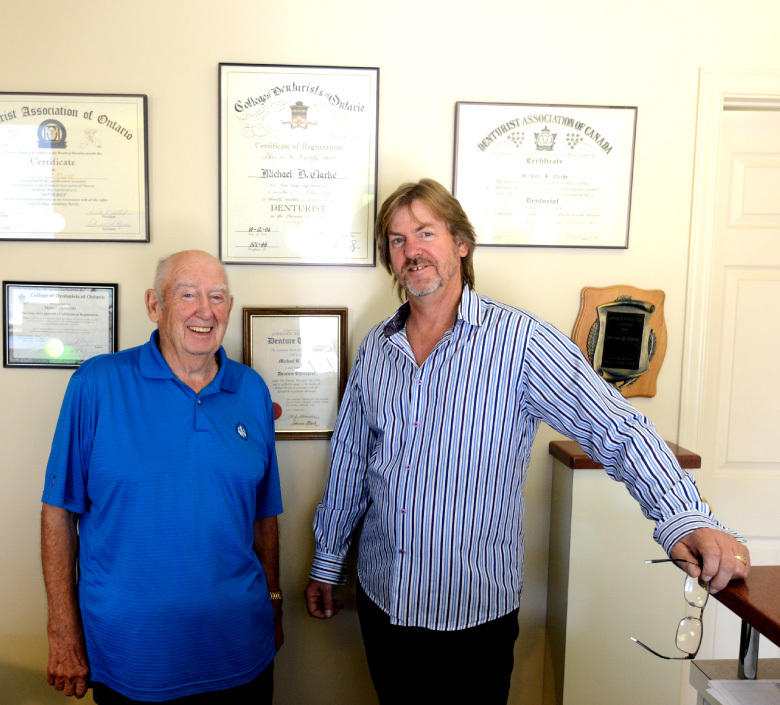 followed in his father’s footsteps, James E Clarke, a successful denturist since 1975. After graduating with Honours from the George Brown College in 1988, Michael joined the ranks of licensed denturists, thus starting the second generation of successful practice. Through annual Continuing Professional Development courses, Michael continues to further his skills and knowledge, enabling him to provide his patients with the latest technology in the denture field. Call the Pembroke Denture Centre today to book an appointment.